For people who drive for a living, it could be very helpful to be able to record their journeys especially when things go wrong. 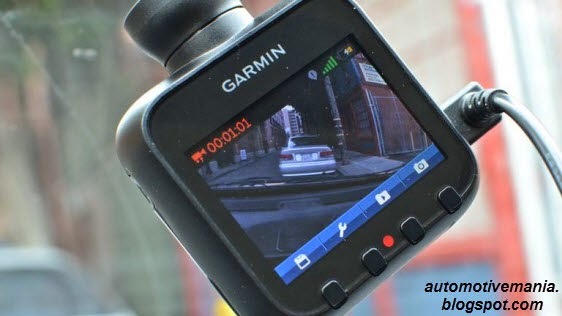 This dash board mounted HD video camera records footage of the road while plugged in to a power source. It records the date, time and location of the journey and even has an automatic incident detector that tells the camera to automatically save the current, last and next recordings to provide a record of exact what happened. Garmin's model has GPS and a 2.3inch LCD display screen. 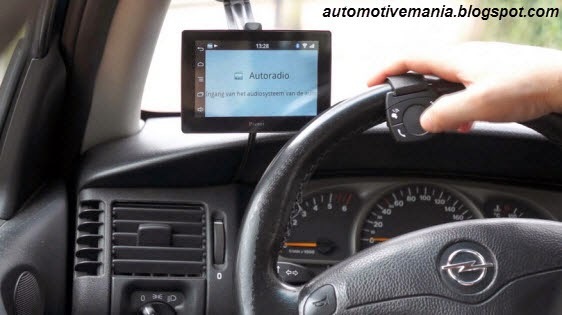 This Bluetooth hands free entertainment and communication system connects to a wide range of smartphones, has options for different satellite navigation software and allows you to access your music through iTunes, Spotify and other systems. It has a steering wheel control hub and an option to search your music by saying the names of artists, tracks or albums out loud. Very useful for people who endanger themselves and other drives while scrolling through tracks or attempting to change CDs while the car is moving. 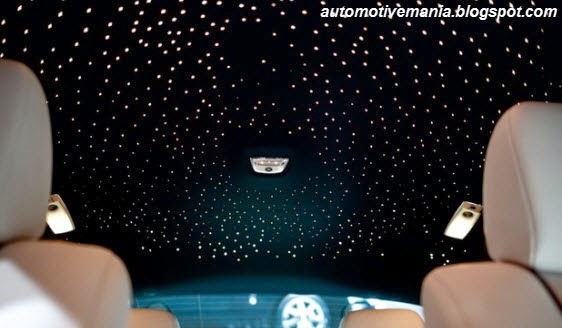 Rolls Royce have installed some very pretty but almost completely useless fibre optic lights in some models of their cars. They are visible though perforated leather on the roof and the brightness is adjustable. To keep children occupied on long journeys, this back seat system comes as an optional extra with some new cars and can also be installed after purchase. 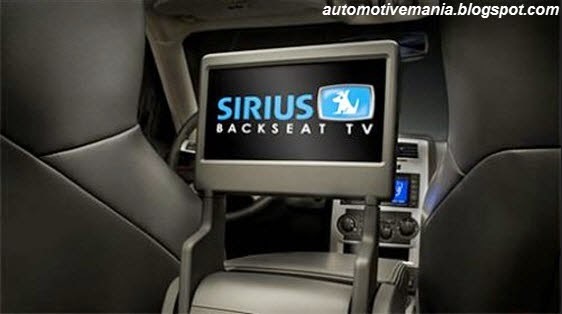 It streams kid friendly TV channels such as Nickelodeon, Cartoon Network and The Disney Channel into the car through an antennae on the roof. Picture quality is not quite HD but reviewers have said it is adequate for distracting restless children. 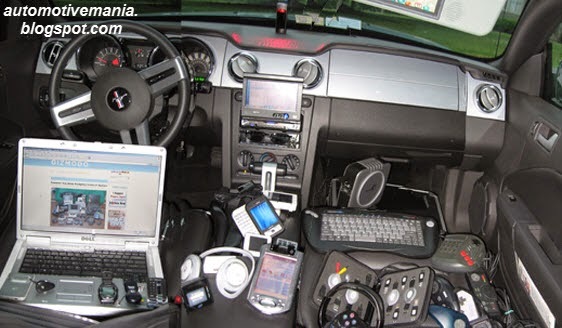 Different car manufacturers have different systems for bringing night vision into their cars. 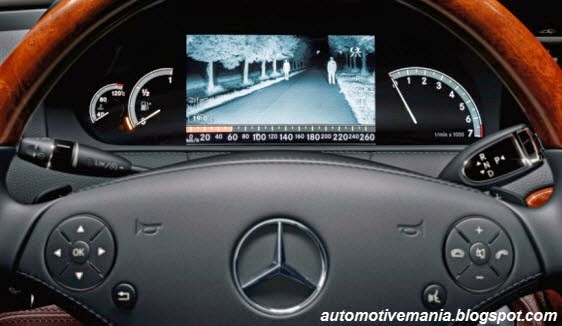 Mercedes use an infrared light projected onto the road and shown on a monitor to allow drivers to spot hazards in the dark. BMW use a system that detects heat signatures to show up people and animals on the road. It looks pretty cool and rather spooky too. 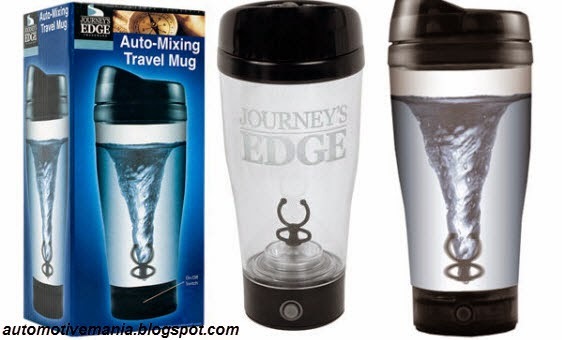 This self-stirring travel mug is perfect for preparing diet drinks, sports drinks, baby formula etc. on the move. It runs on batteries and has a spill-resistant drink through lid. How many times a person would actually use it is not an easy question to answer. 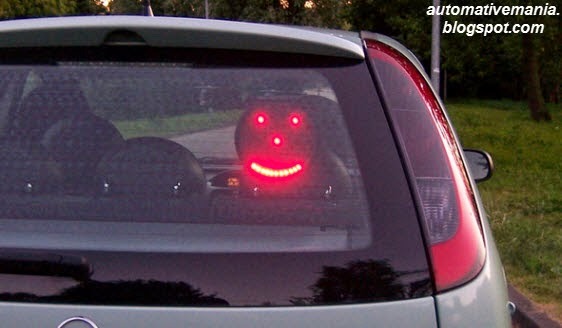 Disgruntled or particularly happy drivers can now express their emotions with LED smilies. Different versions of the device come with different options. One model even allows drivers to make their own faces or messages. The road rage potential is enormous. 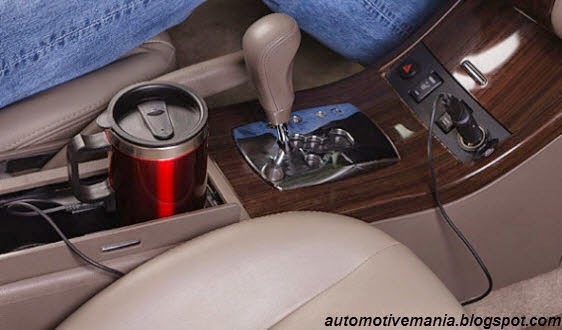 These mugs keep drinks warm by plugging into either a USB port on a computer or a 12-volt DC socket in a car. Useful for long journeys or for students writing very long essays.